Debbie Klein founded Claims Management Consultants in 2004, to meet the needs of insurance brokers and employers in managing their Workers Compensation claims. Debbie, a Southern California native, was born in Los Angeles. 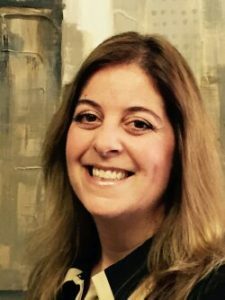 Debbie Klein brings to her clients a professional background spanning over twenty years in the insurance industry. Her background is exceptional and diverse, ranging from areas of legal defense to claims handling, management and consulting. Her experience brings to the table an understanding of claims handling and litigation. Having been behind the scenes, working at a defense law firm and Workers’ Compensation insurance carrier, Debbie understands the total claim process. In addition, Debbie’s experience working as a Corporate Claims Consultant for a Fortune 500 Company gives her the edge to identify and analyze Broker/Employer issues. Having been on both sides of the fence of the claim industry, Debbie Klein has a comprehensive perspective of the Workers Compensation process. Throughout her career, Debbie’s work experience has allowed her to train managers, directors, and executives on the process of Workers Compensation and ergonomics. She has been trusted to handle high profile accounts to ensure that claims were handled properly and efficiently. She managed a unit of highly skilled claims adjusters and assistants. She wrote and developed Service Instructions for insurance carriers, facilitated quarterly file reviews to ensure accurate claims handling, and provided settlement and reserve authority on claims. Debbie consulted with individual employer locations nationally regarding Workers Compensation issues and concerns, resulting in reduced claim costs. Currently, as a Workers Compensation Consultant and business owner, Debbie’s clients rely on her to manage their claims, analyze their loss runs, attend their claim reviews and provide recommendations to brokers and insurance carriers. Debbie’s dedication, hard work and experience makes Claims Management Consultants the only claim resource company that can help you manage and organize your Workers Compensation claims so that you can focus on your business.